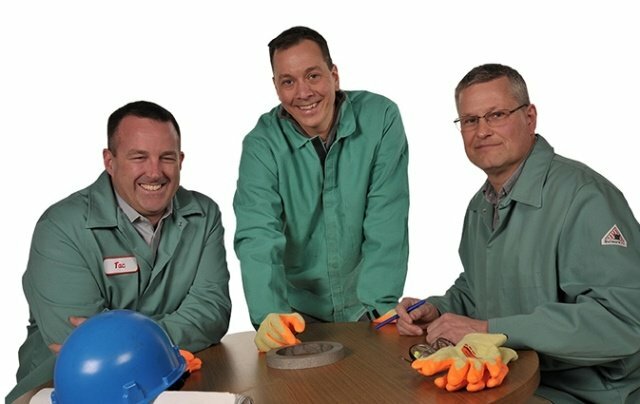 Welcome to the MetalTek Blog. As your Metals Partner, it is our goal to educate you on various casting processes. Feel free to browse around to learn more but if you have questions or need to submit an RFQ, please contact us. MetalTek International. Because You Demand More Than Metal. MetalTek offers more metal casting process diversity. Your ability to source centrifugal, sand, investment, HPLT, or continuous cast products from a single company is not available anywhere else in the world. Not sure which precision casting process is right for your components or application? Read the below article on the basics of casting and feel free to contact us if you have questions. We would love to become your metals partner Because You Demand More Than Metal. Today, metal casting is a complex and intricate process which requires exact chemistry and flawless execution. While current methods may be relatively new when compared to the history of human civilization, the first casting of metals can actually be traced all the way back to around 4000 BC. In those times, gold was the first metal to be cast because of its malleability, and back then, metal from tools and decoration was reused because of the complications of obtaining pure ore. However, a copper frog is the oldest existing casting currently known; it is estimated that it was made in 3200 BC in Mesopotamia (present-day Iraq). Bronze then became the metal of choice to cast with because its rigidity compared to gold, and it was melted and cast into various tools and weapons by way of permanent stone molds. The process of casting made its way to Egypt by 2800 BC, and effectively performing this process was tremendously influential on their gain of power during the Bronze Age. Around 1300 BC, the Shang Dynasty in China were the first to utilize sand casting when melting metals. Then around 500 BC, the Zhou Dynasty introduced cast iron to the world, but it was used mostly for farmers. Cast iron did not become a military tool or decoration until the Qin Dynasty almost 300 years later. Fast forward almost 1000 years, religion played a major role in advancing and innovating foundry technology during that time. Extraordinary evolution came from the construction of cathedrals and churches, melting and mold-making processes advanced rapidly to keep up with the demand of the dominant Catholic church. This also marked the boundary of the period between casting for the purpose of art and viewing casting as a technology with unknown potential. It was not too long after the advancements of bell casting that, ironically, a monk in Ghent (present-day Belgium) was the first to cast a cannon in 1313 with the same technology. Over 150 years after the first cast cannon, Vannoccio Biringuccio, also known as the father of the foundry industry, recorded the first written account of casting and foundry practices. His work, De Le Pirotechnia, was separated into 10 sections that covered many subjects including minerals, assaying, smelting, alloys, casting, as well as alchemy; it is one of the oldest technical documents still around from the Renaissance era. There are many benefits of using the sand casting process versus traditional manufacturing processes. If you asked multiple metal casting suppliers the main benefit, many would say the cost effectiveness when internal passageways are required. So how does a metal casting supplier produce a finished component with these passageways? The answer is simple - by using cores. While the answer is simple, the process can be highly technical to insure a quality product. Let’s take a look at the art and science of core making. A core is an object, typically made from sand or ceramic, that is in the shape of the passageway or void required for the finished component. In a conventional sand casting process, the two mold halves (cope and drag) are matched together, and the resulting cavity creates the exterior geometry and features of the casting. 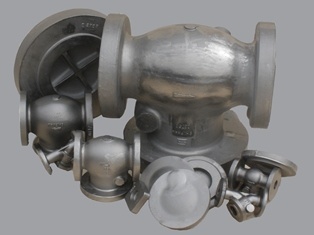 By placing a core inside the cavity, the flow and solidification of metal is redirected around the core, and the internal features and geometry of the casting can be created. What Makes A Good Conversion To A Metal Casting? There are often alternative ways to manufacture any given component. Sometimes the first way chosen to manufacture a component is not the best way. There may be a number of reasons for that. Perhaps one has an expertise or bias for machining, or welding, or forging, or casting, or assembly. Components may end up being produced in a way that is familiar and functionally adequate, but less than optimal in terms of performance, cost, or quality. There may come a time in any product’s life when it makes sense to investigate alternative methods of manufacture. 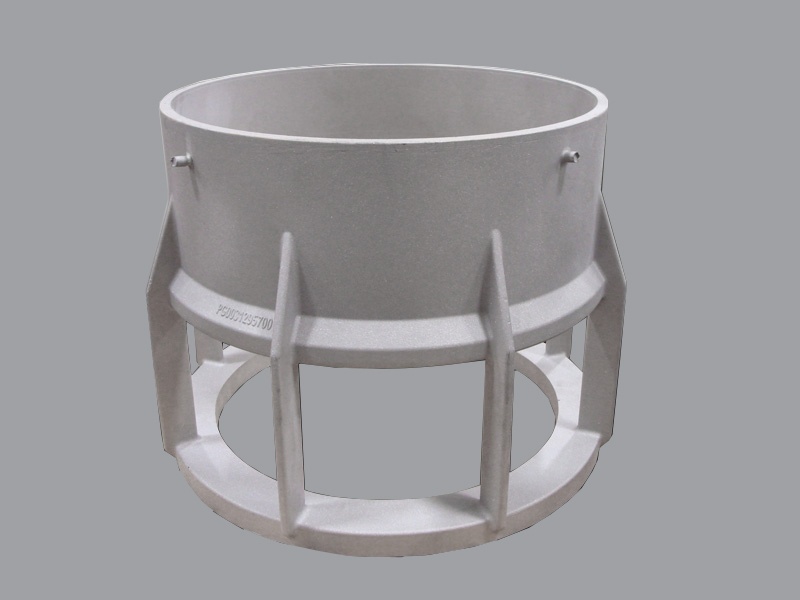 Such evaluation would be to convert a hog-out, forging, or multi-piece weldment to a single piece casting. What makes a good conversion? Among the factors to consider when deciding if a design is a candidate for a conversion to a casting are cost, quality, and performance. If you Google “Casting Terminology”, you get over 7.6 million results. Some of the results will show you a never-ending list of terms so here is a reduced list of select terms that you should be familiar with as a current or potential user of metal castings. To see a complete list of terms on our website, visit us here. Glossary terms and definitions provided courtesy of the Steel Founders' Society of America. Aging: A change in properties of metals and alloys which occurs slowly at room temperature and will proceed rapidly at higher temperatures. The change in properties is often, but not always, due to a phase change (precipitation), but never involves a change in chemical composition of the metal or alloy. Annealing: Heating to and holding at a suitable temperature, followed by cooling at a suitable rate to lower the hardness or alter other mechanical or physical properties. 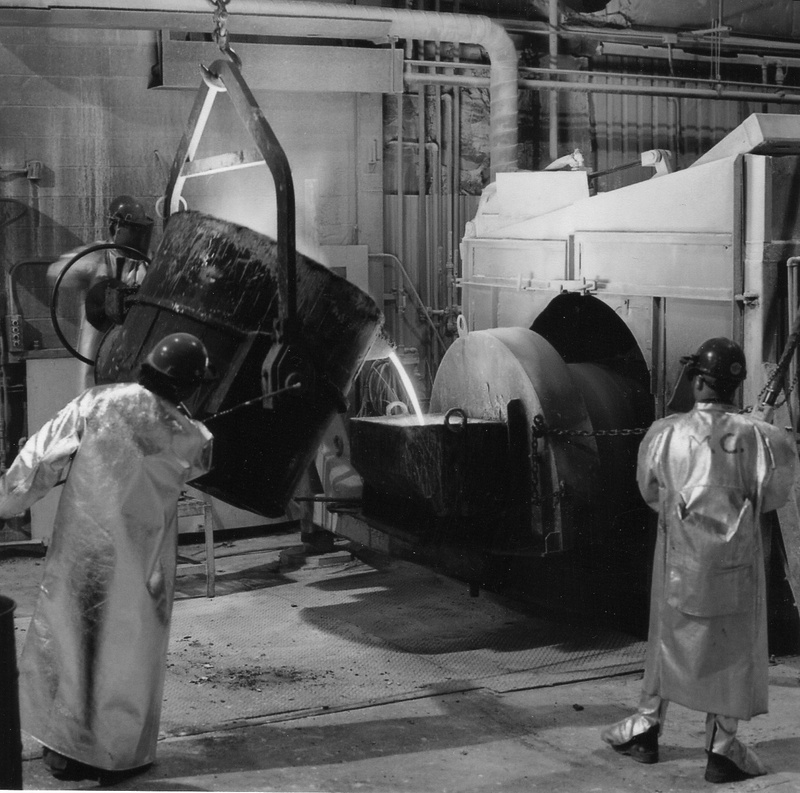 Argon Oxygen Decarburization (AOD): A secondary refining process in which argon, oxygen and nitrogen are injected into a molten bath of steel. The AOD process improves metal cleanliness and thus gives superior mechanical properties.